Five years ago, 14-year-old Max Wheeler disappeared from Priest's Island, an isolated but bleakly beautiful place on the edge of the Atlantic Ocean. In the close-knit local community, there are no secrets - except what happened to Max. None of the police or private investigations since have shed any light on what happened the night he went missing, presumed dead. 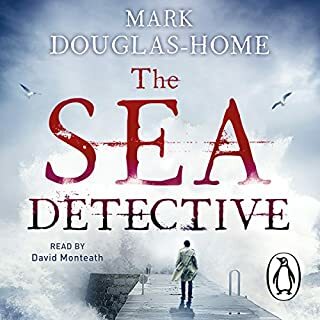 But there is one man who is yet to take on the case: The Sea Detective. 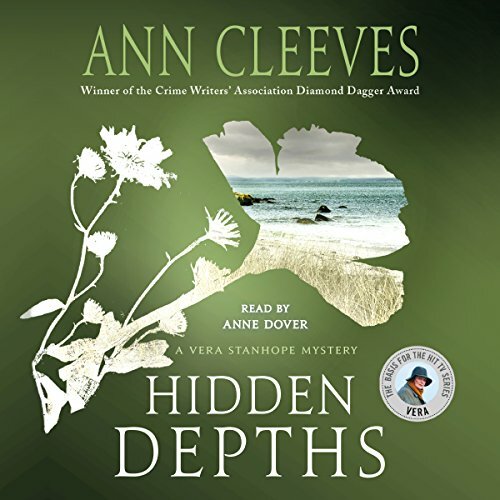 Published for the first time in the US, Hidden Depths is an early audiobook in Diamond Dagger award-winning crime author Ann Cleeves's Vera Stanhope series, brought to life in the hit TV series Vera. On a hot summer on the Northumberland coast, Julie Armstrong arrives home from a night out to find her son murdered. Luke has been strangled, laid out in a bath of water and covered with wild flowers. This stylized murder scene has Inspector Vera Stanhope and her team intrigued. But now, Vera must work quickly to find this killer who is making art out of death. 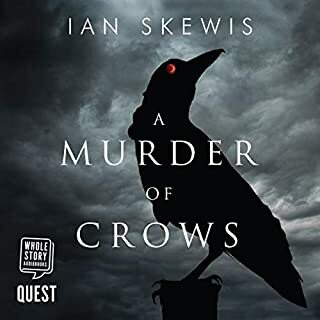 ©2007 Ann Cleeves (P)2007 Isis Publishing Ltd. The Vera Stanhope mysteries have kept me intrigued and entertained for hours. Vera is a unique and fascinating character. In this book the characters are well developed and interesting. The descriptions of the people and places were evocative for me - I could mentally picture them as I read the story. The mystery is good - I didn't guess the outcome ahead of time. Narrator Ann Dover is superb. I expect I will listen to this book (and others in the series) over and over again. I've listened to all the Shetland books and read several of Cleeves' early works. Although the Shetland TV shows are probably the best TV made in the last 5 years, the Vera (book) series is turning out to be the best reads. Also the reader for this one is so good. She doesn't does that sweet, smiley uplift of the voice when something sentimental or cutesy is said. I love all of Ann Cleeves’ books, and this one didn’t disappoint. The narration is perfect, too. I love Vera Stanhope tales and this is a good one. Vera is her same old overweight, drinks too much self. She attacks the mystery of the deaths with all her life skills and away we go. Loved it! Fantastic stories, characters, and a perfect reader. A real pleasure. I love the TV show as well, and picture the wonderful Brenda Blethyn as I listen to the books. I am thoroughly enjoying reading this series from Ms. Cleeves. I often shudder that there will be too many similarities between the books and the tv series, but I am pleased to say there’s more than enough difference between the two to keep me happy. I like that Cleeves has created a character who is and is not comfortable in her own skin. Yet, she is driven to help keep the world a tidy place even when she may not be so comfortable with herself. This story kept me guessing until the end and I wanted a couple of characters to be guilty just because I didn’t like them! Thank you Ms. Cleeves! Another enjoyable Vera mystery. Bodies in water, flowers floating over them. How are they connected? Several suspects to consider, but all of them are connected. Yet, which one is the killer? An in depth investigation into each one's personality and life keeps the story interesting. Some are naturalists reminding Vera of her father's obsession. 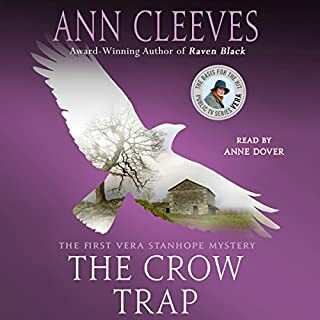 Ann Cleeves is one of the best storytellers I've ever heard! 10/10 would listen again. 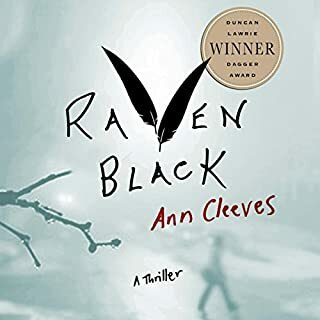 I love all the Ann Cleeves books, but this was one of the best. 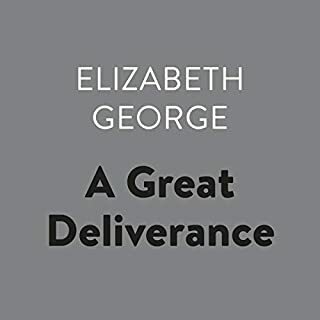 Marvelous characters are always a wonderful part of her stories, and this one has a very interesting group to be sorted by the inimitable Vera Stanhope.